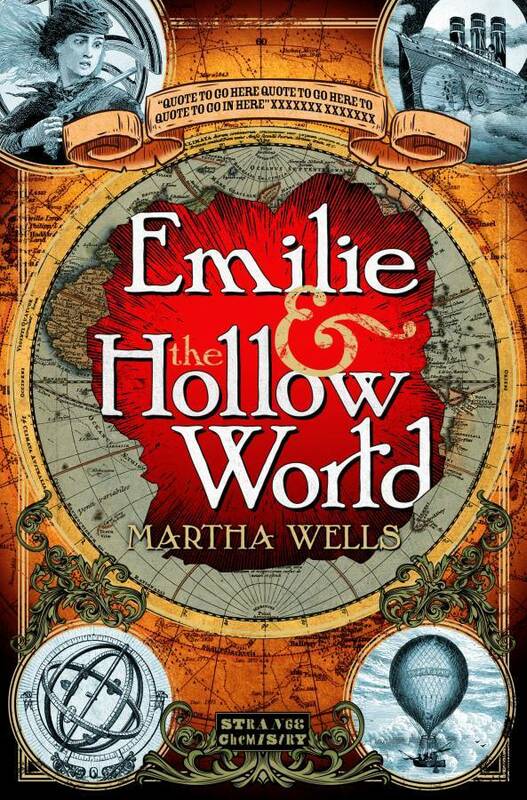 While running away from home for reasons that are eminently defensible, Emilie's plans to stow away on the steamship Merry Bell and reach her cousin in the big city go awry, landing her on the wrong ship and at the beginning of a fantastic adventure. Taken under the protection of Lady Marlende, Emilie learns that the crew hopes to use the aether currents and an experimental engine, and with the assistance of Lord Engal, journey to the interior of the planet in search of Marlende's missing father. With the ship damaged on arrival, they attempt to traverse the strange lands on their quest. But when evidence points to sabotage and they encounter the treacherous Lord Ivers, along with the strange races of the sea-lands, Emilie has to make some challenging decisions and take daring action if they are ever to reach the surface world again. To enter, fill in the form below. Apologies if you're having trouble logging onto the site today. Fixing bugs, bugs, and more bugs. Author Of The Week: Chat with M Lynn (Golden Curse), Plus Giveaway! That would be Merry Bell! Spotlight on R. Caine High School: Books 1-3 (Victoria Danann), Guest Post & Giveaway!